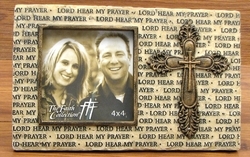 Measures: Resin photo frame. 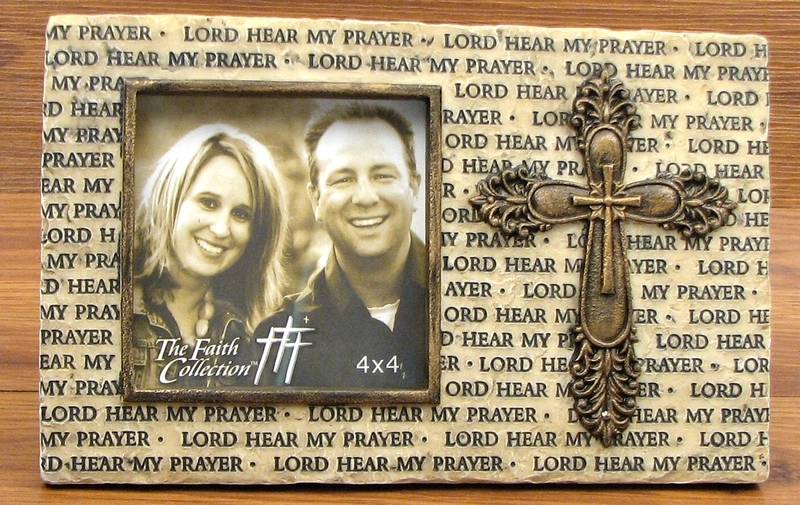 The Faith Collection ceramic 4" X 4" picture frame with Cross and the continuous "LORD HEAR MY PRAYER" Great for any home or office. Overall measures 8.5" W x 5.5"H x .75"D. Can mount on wall or sit on a table.